Songs with Radio Heads doesn’t attempt to replace the originals as “definitive versions”. Instead, like the Futureheads cover of Kate Bush or the Slits cover of Marvin Gaye, this is an exercise in translating well loved tracks into a different genre. 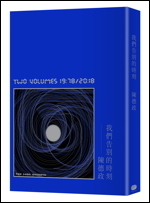 Lou Reed的這套Between Thought and Expression在發行時曾是我學生時期存錢想買的CD合輯之一. 雖然他的CD精選集Walk on the Wild Side才是讓我接觸到VU / John Cale / Andy Warhol / La Monte Young / Angus MacLise乃至於所有被他影響的紐約噪音派的原因,當時忍下來沒有買的我終究還是在客居紐約的時候買了他大部分的黑膠專輯. 說到終極噪音,你聽過他老兄再七十年代中期發的Metal Machine Music嗎? 我曾在Audiogalaxy之類的地方抓到過,當時覺得這才是惱人到底的極致表現啊! "Well, anyone who gets to side four is dumber than I am." For the record, I did get to side four. But I got paid for it."